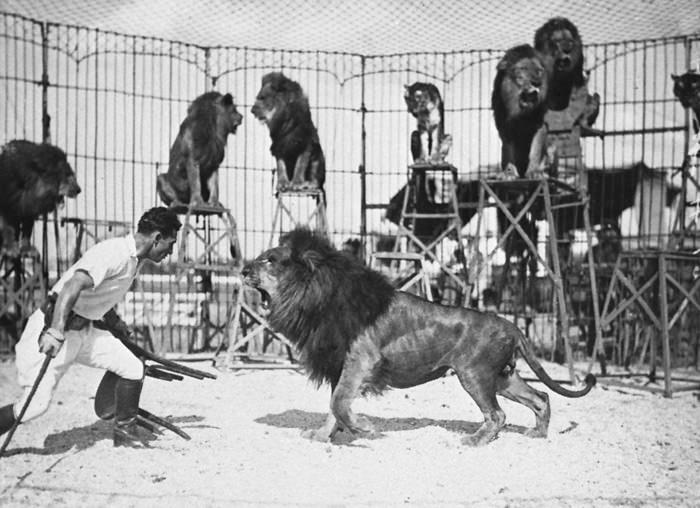 "The World's greatest wild animal trainer, Clyde Beatty, with an exciting adventure from his brilliant career.The circus means thrills, excitement, and gnarling jungle beasts. The circus means fun for young folks and old, but under the 'Big Top' you see only a part of the story." The real drama comes behind the scenes where 500 people live as one family,where Clyde Beatty constantly risks death in the most dangerous act on earth. This master of the big cat has journeyed to Africa and India hunting down his beasts in their native jungle. All of this is part of the Clyde Beatty Show." 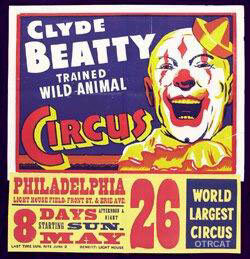 The Clyde Beatty Show followed the adventures of the owner of the Clyde Beatty Circus to find new and more extravagant beasts for his performances. The show stems from a series of books and a film serial of the same name. The idea for the show first came from Shirley Thomas, the wife of the production company, Commodore Productions, owner Walter White. 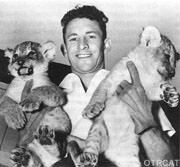 Thomas' schmoozing of Mr. White probably gave Clyde Beatty's lions something to purr about for a long time! Be the first to comment on "Clyde Beatty"